I still can't believe I didn't put the Breville slow cooker on a flat surface, causing the thing to fall to the floor and crack. Well, the glass lid shattered and the crockery cracked, but the slow cooker itself was fine. I started looking online for an SLC30 unit or its parts, but no such luck. Must be a really old model only. 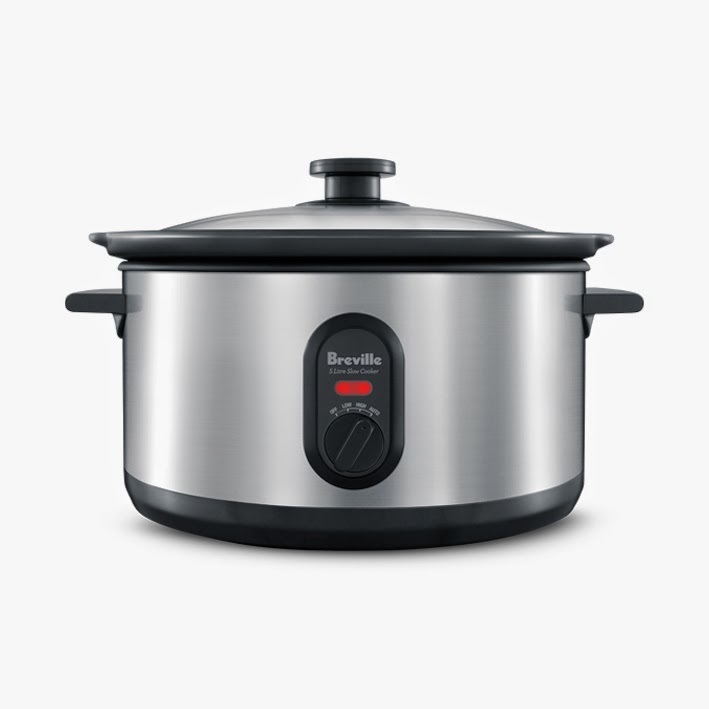 The best replacment I could come up with is an almost new BSC300 5-liter brush stainless steel cooker with a ceramic crockery bowl. Had to drive all the way to Bass Hill to pick it up, but at more than 50% off from the RRP of $90, I'd say that's a very good deal. I hope MIL is happy. Celebrated my 40th birthday with an extended family lunch at Hong Kong Seafood Restaurant (where else?). This is also Aaron's 1st month anniversary. He was sleeping most of the time. Due to the number of guests, we had two tables - kids and adults. Got my sister and SIL to babysit the kids. For dessert, it's the croquembouche cake from Loomas, specially delivered on the day to the restaurant.